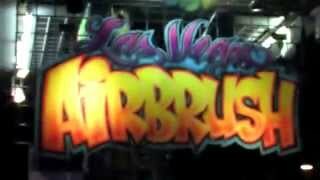 Airbrush custom airbrush on t shirts, hats and other items. The airbrush artists come from all over the world to create unique and custom apparel. You can find them inside Circus Circus.